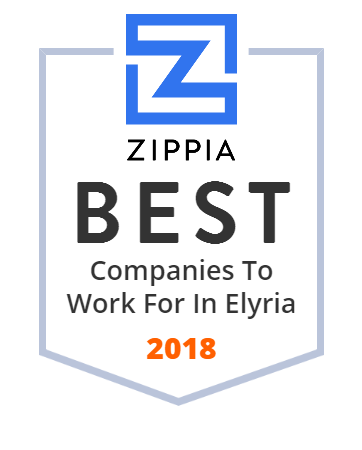 We hand-curated a list of the best companies to work for headquartered in and around Elyria, OH using data on salaries, company financial health, and employee diversity. North Ohio Heart (NOH) has been providing cardiology services to families in the northeast Ohio region since 1978. In 1999, it partnered with Ohio Medical Group (OMG) and today they provide cardiac and primary care services. NOH/OMG has over 40 physicians and 11 nurse practitioners and 8 locations across Cuyahoga, Lorain, Huron and Erie counties. Clear Image Technology (CIT) is a medical device company that provides visualization solutions used in many medical subspecialties including ophthalmology, orthopedics, and pain management. Since its establishment in 2003, Clear Image Technology has been working with world-class surgeons and industry leaders to develop products that strongly contribute to the medical field. The company is headquarted in Westlake, OH. LifeCare Ambulance, headquarted in Elyria, OH, is an expert in medical transportation. It operates a fleet of over 60 vehicles and provides 911 EMS services to approximately 160,000 citizens in Northern Lorain County. Its team of paramedics, EMT's, wheelchair attendants, and dispatchers have the best tools at their disposal and provide high-quality services to communities in six locations throughout Lorain County. Nelson Fastener Systems consists of a family of companies that manufacture high strength critical fasteners and fastening system components worldwide used in the Aerospace, Construction, Energy, Industrial, Marine, and Military markets. Its companies include: Nelson Stud Welding; Specialty Bar Products; EBC Industries; Ferry Cap, Automatic SMP (ASMP); TOG Maunfacturing; Spiegelberg Manufacturing. Nelson Fastener Systems is based in Elyria, OH. Elyria, located 23 miles southwest of Cleveland, is the county seat of Lorain County, Ohio, United States. As of 2010, it had a population of 54,533. Elyria has a large number of parks and recreational centers, many public and private schools, great infrastructure, and other great features open to its residents and visitors. Norlake Manufacturing Company is a designer and manufacturer of custom-made magnetics such as Power Transformers, Isolation Transformers, Current Transformers, Filter Reactors, etc. Norlake is privately owned company and has been like this for over forty years. Today, the company has grown to 120 employees and services almost every market. Norlake has four facilities with its corporate office located in North Ridgeville, OH. Spitzer Automotive is a premier Chevrolet, Acura, Ford, Dodge, Chrysler, Ram, KIA, Mitsubishi, and Volkswagen dealer. Its is family-owned since 1904 and offers new and pre-owned vehicles across its Northern Ohio and Western Pennsylvania dealerships. Customers in Ohio can conveniently reach one of its 15 locations. Spitzer Automotive aims to remain professional, transparent and straightforward with all of its customers.